Bamboo shades are the ideal choice for anyone who wants natural and eco-friendly window coverings in their home. Because bamboo shades are manufactured using real wood, they not only add a unique and beautiful touch to your windows, but they also require a slightly different approach to cleaning. 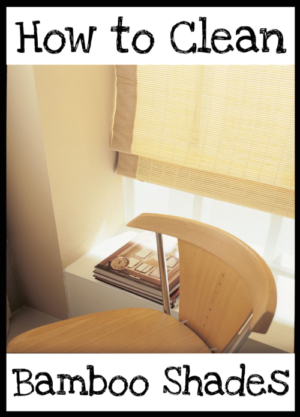 Despite their differences from traditional shades, bamboo shades can be easily cleaned using many of the same techniques required to clean other types of window treatments. If you recently purchased bamboo shades or are simply looking for the best way to clean the bamboo shades that are already in your home, check out Blindster’s tips below for the best way to get the job done. Step 1: Inspect your bamboo shades. Your approach to cleaning your shades depends on how dirty they are. In most cases, shades don’t attract much other than a light coating of dust, dirt, pet hair, and a small amount of pollen. 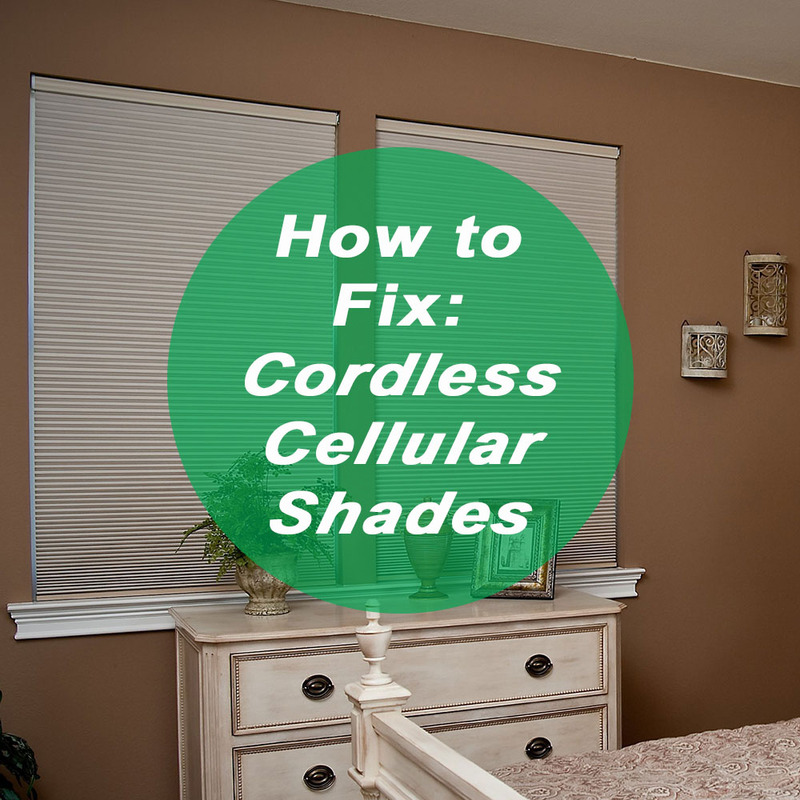 However, shades that are mounted in areas with open air movement, such as on or near windows and doors that are left open for long periods of time, may require more intensive cleaning due to exposure to heavier accumulations of dirt, dust, and other debris. Step 2: Read the manufacturer’s cleaning and care instructions. While bamboo shades generally hold up well to most cleaning attempts, it’s important that you first consult the manufacturer’s cleaning and care instructions before you use water, cleaning liquids, or other chemicals that could potentially crack, stain, or damage the wood. You can find the instructions in your shade’s original packaging. If you can’t locate the instructions, consult the manufacturer’s website or contact Blindster to receive a replacement copy. Step 3: Gather the cleaning items you’ll need. With these items nearby, you’re ready to begin cleaning your bamboo shades. Step 4: Clean your shades from top to bottom. To begin the cleaning process, use a feather duster to remove dust from every inch of exposed surface from the headrail and the shade itself. After you’ve removed the top layer of accumulated dirt and dust, use your vacuum cleaner with soft brush attachment to remove any left behind debris. Next, wet the sponge and thoroughly wring it out to release any excess water and cleaning solution. Then use the sponge to wipe down the headrail, but be careful and avoid getting liquid inside the shade, as it could damage the internal components of the shade. Working your way down the bamboo, use the sponge to gently wipe away any stains, discolorations, or caked on grime. After you’ve thoroughly cleaned the shade, use a clean towel and wipe away any moisture from the wood. For even faster drying, use a hair dryer on areas of the shade where towel drying isn’t sufficient. Drying your shade is important to prevent the wood from warping, staining, or becoming discolored after exposure to water. Step 5: Dismount your shades from your windows or wall if necessary. If your shades are heavily stained or soiled due to prolonged exposure to dirt, dust, and other debris, you may need to remove them from the window and use a more intensive cleaning process. To thoroughly clean your bamboo shades when traditional cleaning methods don’t work, fill up your bathtub with warm water and a mild soap or detergent that’s safe to use on wood. Once the bathtub is filled up, place the shades inside the water while keeping the headrail dry. After soaking the shades in the mixture of water and cleaning liquid for several minutes, use a washcloth or sponge to scrub and lift away any stains, dirt, and grime from the wood. Make sure to clean every exposed surface as thoroughly as you can, and change the water if necessary as you go. After you’ve cleaned your shades, drain the tub and then rinse away the water and soap mixture before placing your shades on a towel to dry. After using the towels to soak up the majority of the water from the shades, hang them to dry in a well-ventilated area. Use a hair dryer to hasten the drying process and prevent warping. Hanging the shades in sunlight or outdoors can also make the drying process go faster. Step 6: Create a regular cleaning schedule. The easiest way to cut down on the amount of time and effort it takes to clean your bamboo shades is to simply clean them more often. Like all items in your home, your bamboo shades will accumulate dirt and dust over time, but a quick and regular cleaning with a feather duster and vacuum with light brush attachment—combined with monthly wipe downs of the wood and headrail—is generally all that’s needed to keep your shades clean and reduce the need for intensive and deep cleaning sessions in the future.